Bored of the same runs, the same bars and the same crowds in your (and everyone else’s) favourite resort? We’re sharing the secret of the best European ski resorts you have probably never heard of. Vallorcine has been described as a hidden treasure, nestled in the valley between Chamonix and the Swiss border. Vallorcine is a small, charming resort, and because it lies only 10 miles out of Chamonix, it makes a cheaper alternative for families looking for great value skiing in the Chamonix Valley with easy access from Geneva, perfect for ski weekends. The skiing is fabulously accessible via the new efficient bubble and is linked to Le Tour where the pistes are mainly blues and reds. For the more advanced, explore some of the undiscovered powder stashes or nip down on the train to Argentiere and Les Grands Montets or to Chamonix to ski the Vallee Blanche which provides some of the world’s best off piste skiing (guide essential!). Oz en Oisans is one of five ski resorts in the Grand Rousses domain and is the neighbouring resort to Alpe d’Huez, sharing the same ski area in the Southern Alps. The best advantage of staying there over its livelier neighbours is that the slopes of Oz boast some of the best skiing in the area when heavy snow is falling – and are not always reachable by everyone else. It’s a thriving town, very picturesque, with ski school, shops, bars and restaurants and even a skating rink. Orelle is a small mountain village of only 400 inhabitants in the Maurienne valley. It is very traditional and has preserved its rural character and its traditions. The main appeal is that it offers a backway into the Val Thorens ski resort but challenging runs have developed on the Orelle side of the mountain in the Cime de Carron area. 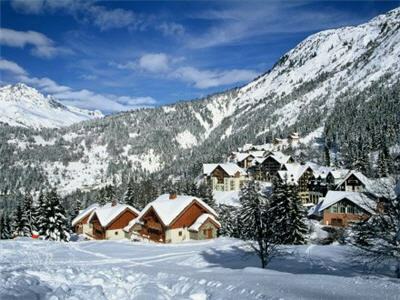 It also features some excellent off-piste – ski France at its best! Pragelato is a traditional style village in the famous Milky Way ski area which extends over France and Italy combining 400km of unlinked pistes. The local ski area of about 50km is suitable for all abilities, with two Olympic runs and some excellent off piste. The majority of the accommodation is self catering apartments and the resort has excellent resort facilities remaining from the Turin winter Olympics in 2006. Sonnenkopf is a small ski area above Klosterle and covered on the Arlberg ski pass, close to well known resort St Anton you will find un-crowded easy runs and some excellent powder skiing. This small resort is suitable for families and fair weather skiers as it is well known for the amount of sun it receives. It has all the usual services: restaurants, shops, ski school and not forgetting the atmospheric ice bars.